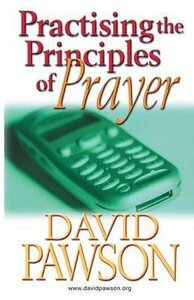 About "Practising the Principles of Prayer"
Born in England in 1930, David began his career with a degree in Agriculture from Durham University. When God intervened and called him to become a Minister, he completed an MA in Theology at Cambridge University and served as a Chaplain in the Royal Air Force for 3 years. He moved on to pastor several churches including the Millmead Centre in Guildford which became a model for many UK church leaders. In 1979, the Lord led him into an international ministry. His current itinerant ministry is predominantly to church leaders. Over the years, he has written a large number of books, booklets, and daily reading notes. His extensive and very accessible overviews of the books of the Bible have been published and recorded in Unlocking the Bible. Millions of copies of his teachings have been distributed in more than 120 countries, providing a solid biblical foundation. David and his wife Enid currently reside in the county of Hampshire in the UK.